Made of lime juice, sugar and 100% Cachaça Thoquino, without colouring agent, preservative free, citric acid free. 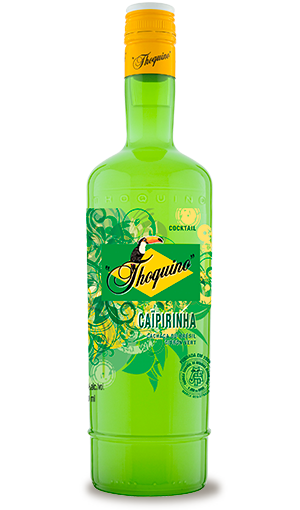 The presence of 18% of Cachaça Thoquino ensures the conservation. The lime juice mixed with zests gives the product a very close taste to the home-made Caïpirinha. Pure on ice or ice cubes.